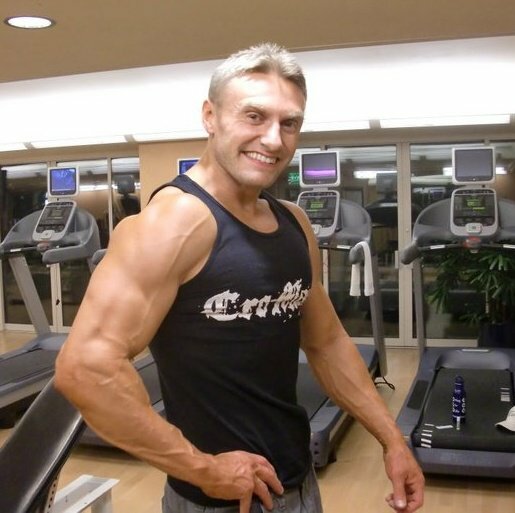 Robert Cheeke is the author of the best-selling book Vegan Bodybuilding & Fitness – The Complete Guide to Building Your Body on a Plant-Based Diet. Bodybuilder, motivational speaker, and author, natural bodybuilding champion Robert Cheeke pushes himself to exceed expectations, to excel in all he does. At 15, he was a self-described “skinny farm boy” from Corvallis, OR. Today, through his hard work and determination, Robert has become a role model for all of us, bodybuilder and non-bodybuilder alike. Robert Cheeke’s achievements and his site have been featured in numerous publications including the Montreal Gazette and the New York Times. He is considered one of Veg News Magazine’s most influential vegan athletes. Robert’s new book, Think Differently, will be available this fall. Thanks Robert for creating such a fabulous resource for vegan athletes and for being an inspiration to entrepreneurs! We wish you continued success. You might want to ask Robert your question on his Facebook page. He won’t know you asked it since he doesn’t monitor the comments on our page. Hope this helps! I have your book. i was wondering what you think of 100% raw vegan diet to gain lots of muscle. i am 5″10 and only weigh 152 lbs. i want to get up to 175 lbs. to 185 lbs. i understand you are not all raw. are there any successful bodybuilders that are 100% raw that you could refer me to? I saw you speak the The Toronto Vegetarian food fair, Sept. 2011. Hats off to you !! Robert !! Man, this guy is great, well disciplined. He is simply himself enough to shut off non-vegans mouth, who says vegans, vegeterians are skinny.